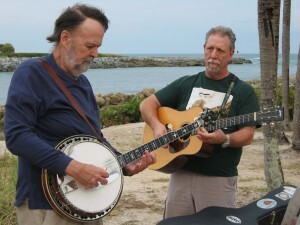 You know life is good when you get the chance to play music with one of the all-time great banjo players in the world. That is what we did today not far from the Atlantic Ocean. Alan Munde, the legendary banjo player arrived for an appearance at the 3rd Annual Fretmentor Banjo, Fiddle, Guitar and Mandolin Workshop. Joining Alan on the trip was Elliott Rogers, a member of the Alan Munde Gazette. Our first course of business was to take a short trip to the Atlantic Ocean. There, we took some photos for an upcoming article I will be writing for the Fretboard Journal. After stopping for dinner, we continued picking some bluegrass at my house. This is just a prelude to what is going to be one special weekend workshop with Alan Munde, Byron Berline and Jim Hurst. 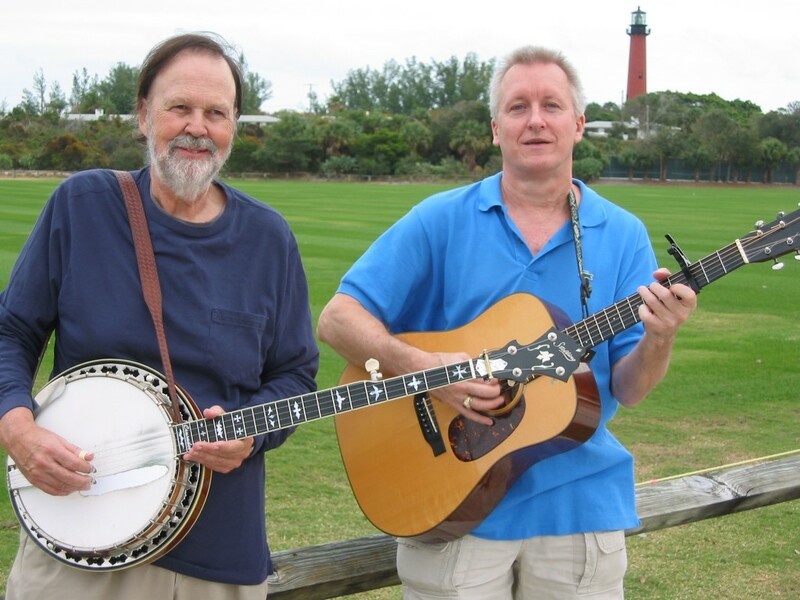 This entry was posted in Banjo, Fretmentor News, Uncategorized and tagged Alan Munde Gazette, Elliott Roger. Bookmark the permalink. I REALY ENJOYED THE WORKSHOP WITH FRETMENTORS THIS PAST WEEKEND. I WAS ABLE TO HEAR FROM HISTORYS GREAT BLUEGRASS MUSICIANS. THE CLASS WITH ALAN MUNDE WAS VERY INFORMATIVE AND I HAVE MATERIAL TO WORK WITH FROM HIS HANDOUTS. THANK YOU DAVE AND MR. MUNDE FOR YOUR TIME AND EXPERTISE. I LOOK FORWARD TO FUTURE WORKSHOPS. THANKS AGAIN!